“I feel an obligation to show people new ideas / And if you wanna hear ’em, there go two right here / Make America Great Again had a negative reception / I took it, wore it, rocked it, gave it a new direction,” Kanye raps. “What you willin’ to lose for the point to be proved? 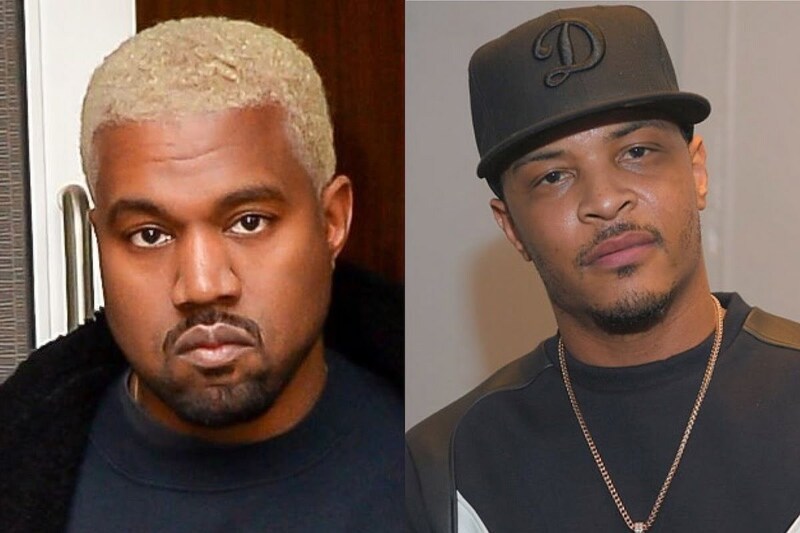 / This sh*t is stubborn, selfish, bullheaded, even for you / You wore a dusty-a– hat to represent the same views / As white supremacy, man, we expect better from you,” T.I. raps.